Shawn C. Helms is co-head of the Firm’s Technology & Commercial Transactions, and Outsourcing Groups. Shawn has broad experience in the areas of information technology, telecommunications and outsourcing. He focuses his practice on complex transactions involving technology and intellectual property, including business process outsourcing (BPO) and information technology outsourcing (ITO), licensing, cloud computing arrangements (infrastructure as a service (IaaS), software as a service (SaaS) and platform as a service (PaaS)), technology maintenance and services, technology development/customization (including iPhone, Android and other mobile device applications and systems), wireless infrastructure, social media issues, strategic alliances, e-commerce, distribution, confidentiality, strategic sourcing and data security/privacy. He also advise clients on transition services and technology and intellectual property matters relating to the acquisition or divestiture of businesses. Shawn has written widely on the topics of technology and outsourcing. Shawn is the co-author of a legal treatise on outsourcing law, Outsourcing Law and Business published by Law Journal Press (the treatise publishing arm of American Lawyer Media). It is the only comprehensive treatise on outsourcing law. This treatise gives detailed treatment to all material legal and business issues associated with outsourcing transactions. The treatise also covers changes in the outsourcing industry (e.g., cloud computer and smaller transactions) and suggests new tools and a modern approach for dealing with these changes. Learn more at www.outsourcingtreatise.com. 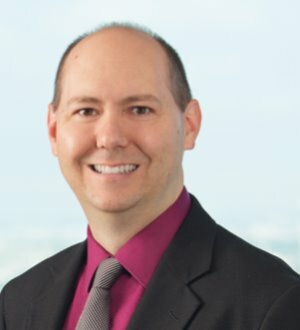 Previously, Shawn was a partner at an international law firm, in-house counsel at Sprint Nextel Corporation and the director of information technology at Williams & Connolly. Shawn earned bachelor's degrees in computer systems, business administration and economics.